A long weekend in London is just enough time to immerse yourself in this buzzing, creative metropolis, home to arguably the world’s finest cityscape. The unparalleled community of artists, designers, musicians and chefs that call the city home makes it the perfect cultural getaway. Landing at Heathrow, you’ll swan into the centre of town with ease thanks to the super-efficient Heathrow Express. Check into your swanky city apartment or your quaint Victorian townhouse and you’re ready to hit the streets. If you’re arriving late in the evening, then you might feel safer taking a taxi from Heathrow to your accommodation, especially if you are unfamiliar with the area. There is no doubt that day one should be a full-day city tour. London boasts some of the most famous and unusual landmarks in the world, you’d be mad to miss them. Start at the Tower of London, learning about the city’s macabre past, before crossing the iconic Tower Bridge. After a few photos, continue your tour on a riverboat, enjoying the remarkable architecture the city is famous for, can you spot the Walkie Talkie and the Gherkin? Stop at St. Paul’s Cathedral and wander over the famous Millennium Bridge, finally arriving at the London Eye. 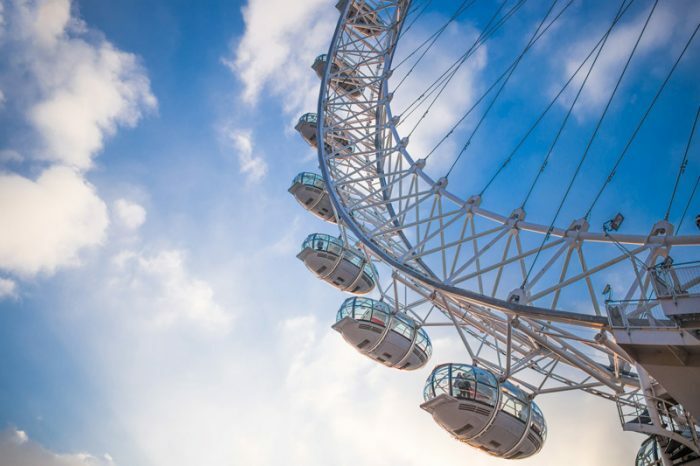 Take a spin in one of the breathtaking glass pods to enjoy impressive views of the Thames and way beyond. That evening, take your pick from the city’s incredible selection of restaurants. These eateries will cater to any possible whim you may have, from Peruvian to Portuguese, Nepalese to Nigerian. For authentic Indian street food why not try Dishoom? Make sure to get the chilli-flavoured Monsoon Margarita and the famous Black Daal. Or for more British fare, try Hawksmoor, for the best steak and sides in the city. Continue your night in Covent Garden at a cocktail bar, or why not try a jazz club for some sultry, after-hours entertainment. For your second day, it’s time to take in some of the city’s thriving culture. 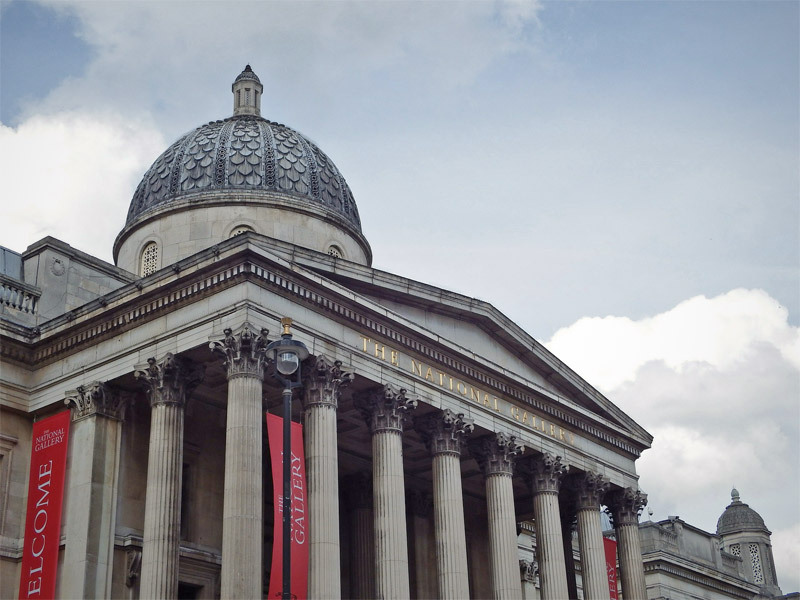 Begin at the National Gallery where you can see how the old masters did it. From Van Gogh to Monet, lose yourself in the halls crammed with too many masterpieces to name. After a lunch of dim sum in Chinatown, head over to the Tate Modern to catch some of the world’s most famous names in contemporary art. Begin in the impressive Turbine Hall, which usually houses temporary large scale works. Puzzle over Damien Hirst and Andy Warhol, before making your way up to the new viewing platform for stunning views over the city. No visit to London is complete without seeing a West End Show. Whether you want to lose yourself in the historical tragedy of Les Misérables, sing along to Mamma Mia or release your inner child at Matilda, a night at the theatre is sure to be unforgettable. Some serious retail therapy is in order for your final day in the city. Head to Oxford Circus for the biggest high street names, before taking a stroll down Bond Street for dazzling luxury brands. Selfridge’s is an institution not to be missed, just gliding through those famous rotating doors will have you feeling fabulous. When you’re all shopped out, head to Hyde Park for some relaxation in one of the city’s biggest green spaces, or rent a boat and row across the Serpentine. You’ll have worked up a real appetite by now, dine at an authentic Turkish restaurant on the Edgware Road before grabbing a red London bus back to your beds for a final night’s rest. You’re sure to want to come back to this amazing city, but a long weekend is the perfect introduction.